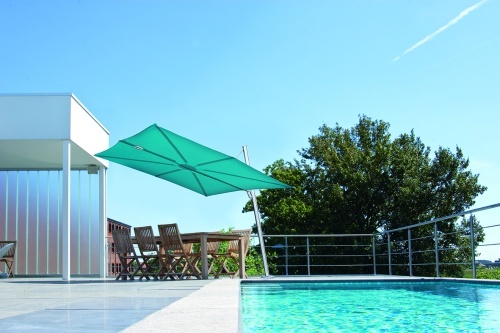 The Spectra is a union of contemporary beauty and functionality. 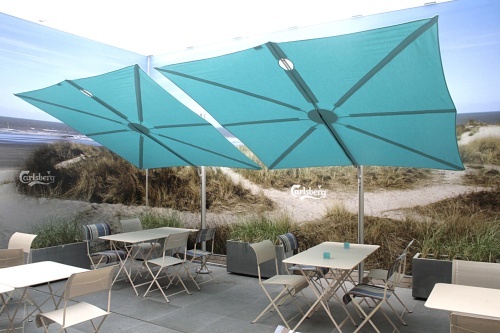 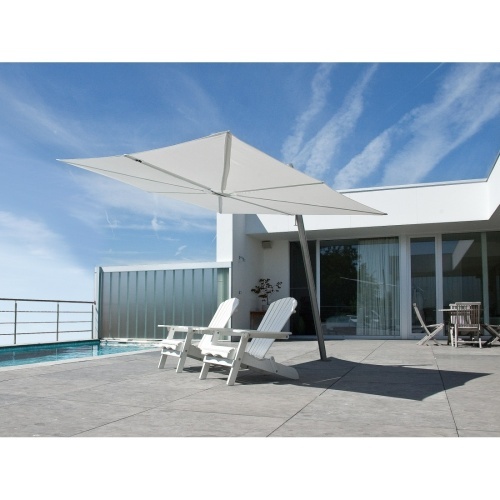 This off-set stand-alone cantilevered umbrella offers a flat canopy which reduces wind drag. 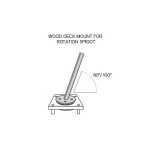 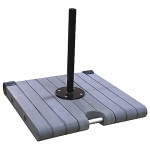 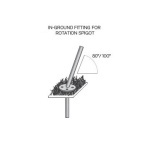 Ergonomic and simple to operate (see video below), the Spectra tilts at any level by moving the handle up and down the track of the post allowing you to adjust the shade accordingly. 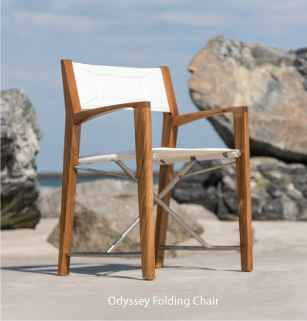 The forward leaning 100 degree posture of the post affords the user more room for furniture. 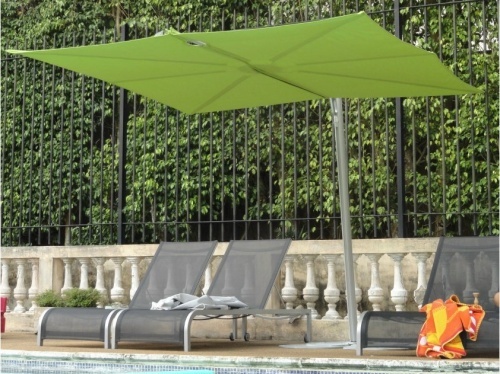 Standalone umbrella - cantilevered (100 degrees -forward leaning). 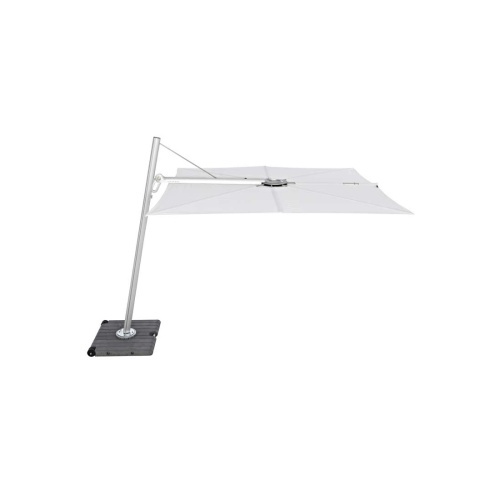 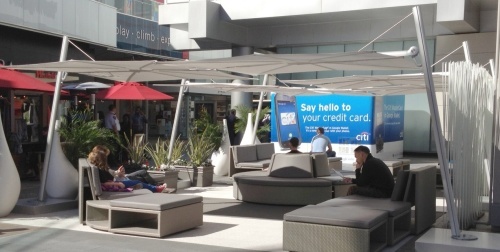 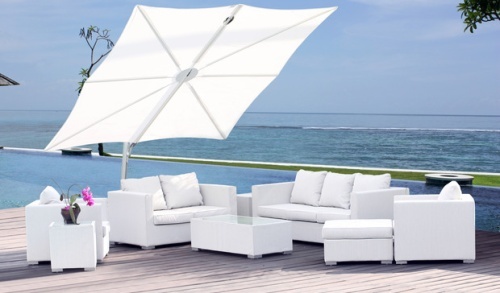 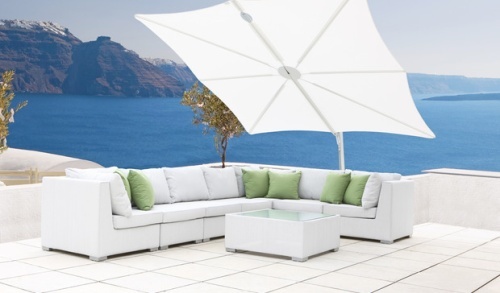 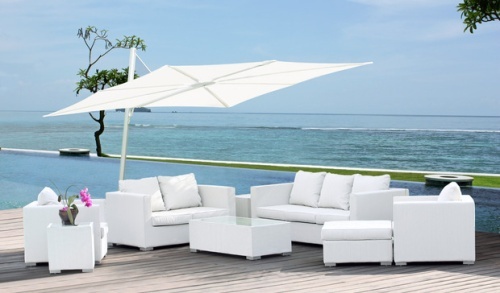 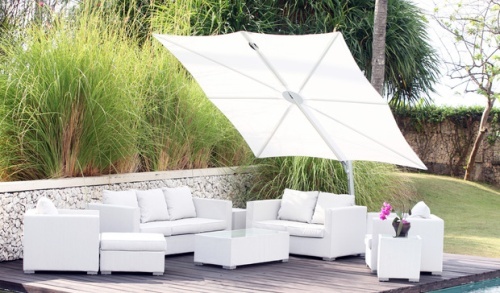 Can be used with tables without an umbrella hole, chaises, dining and lounging sets. 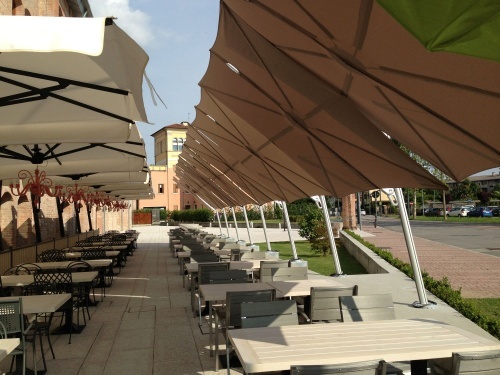 Place 2 (face-to-face) together and it becomes a tent like canopy.